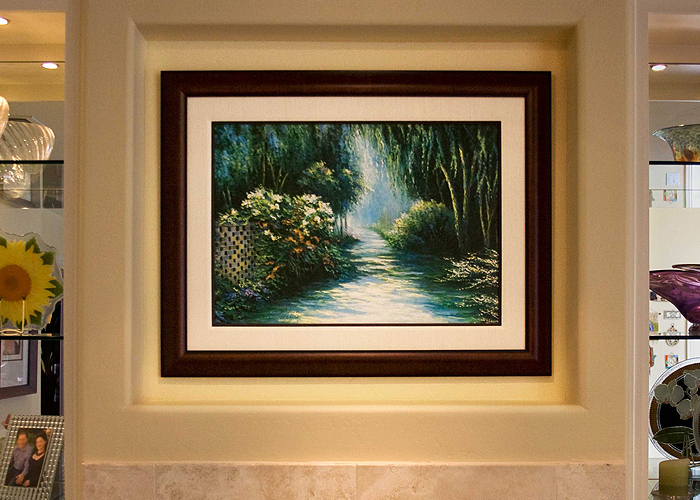 Sometimes a canvas needs more than just a frame. Here, we selected a beaded fillet and a hand wrapped silk fabric liner to add scale and texture. A liner is to a canvas what a mat is to paper. 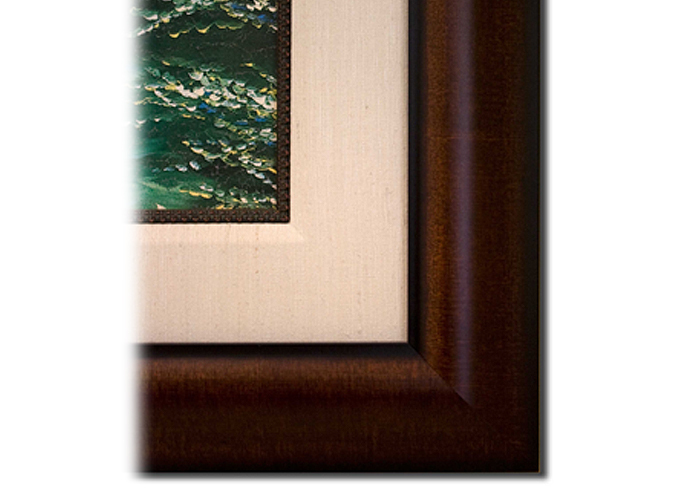 Together, the fillet and liner served to separate the art from the frame, providing needed space to the art and fitting perfectly in that nook above the family room fireplace.